Vacation rental house. 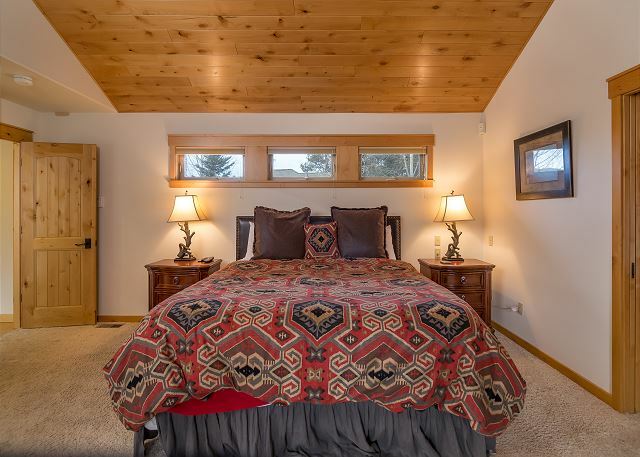 Sleeps 10, 5 bedrooms, 4.5 bathrooms. Dogs allowed. Lone Eagle Landing 8 is located on the Northwest side of Sunriver, in close proximity to the Sunriver marina, airport (with airport tie down) and Sunriver stables. 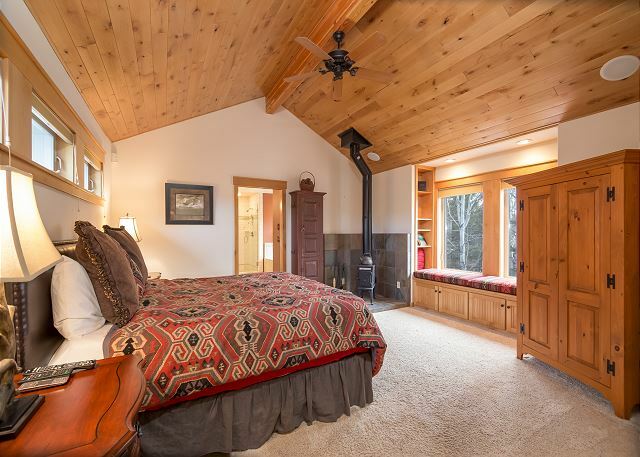 You will be enchanted by the Northwest living meets Country decor that adorns this beautiful 5 bedroom, 4 bathroom Sunriver estate. Watch the game on the giant flat screen from the living room, dining room, kitchen or upper deck. 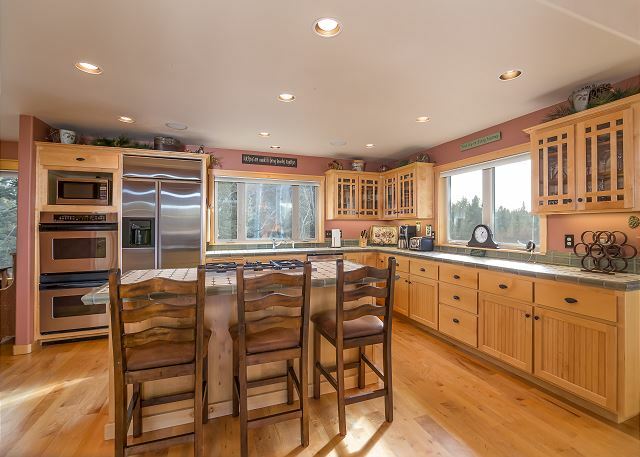 Entertain friends and family in the formal dining area with Deschutes River and woodland views. 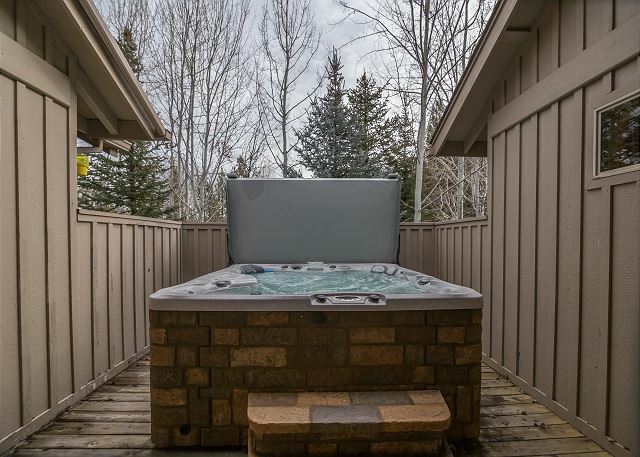 Star gaze from your bubbling hot tub after an epic day on the slopes, or cuddle up with your sweetheart by the warm fire. 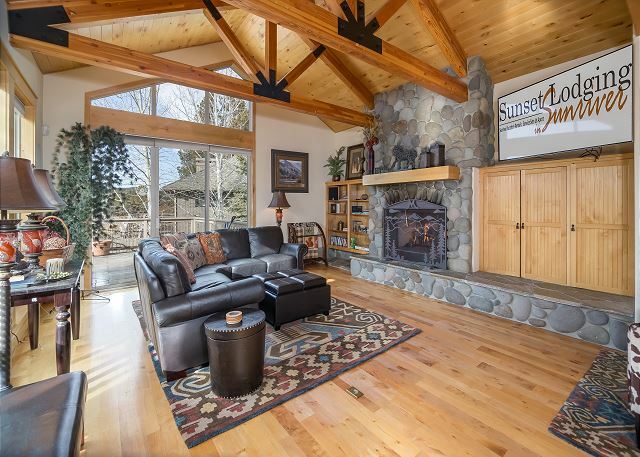 This home has everything you need for a perfect Sunriver vacation. The reverse living layout of Lone Eagle Landing 8 provides the kitchen, dining and living rooms upstairs with a wrap-around upper deck. 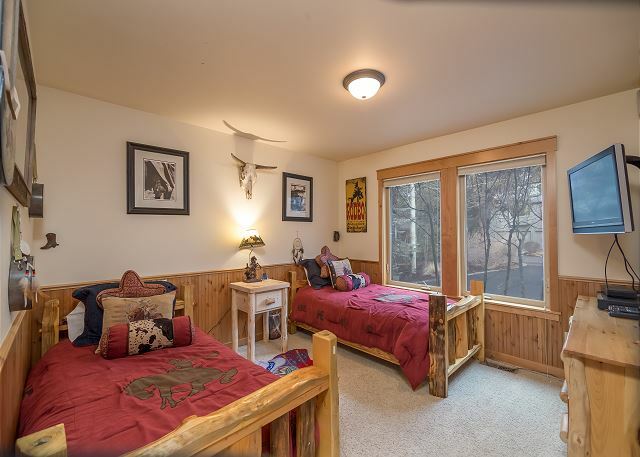 The entire north side of the home is windows, allowing for a beautiful woodlands view of deer, hawks, elk and eagles (birders rejoice!!) as well as the mighty Deschutes River. Entertaining is fun and easy in the open floor plan that combines the upstairs common areas. 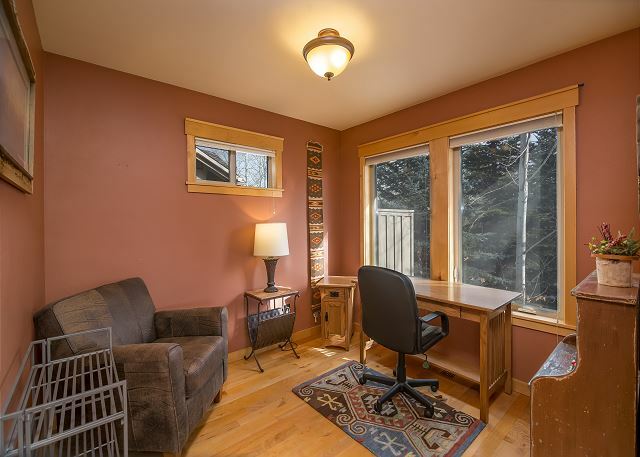 There is a generously sized king master upstairs with a large shower and soaking tub en suite. 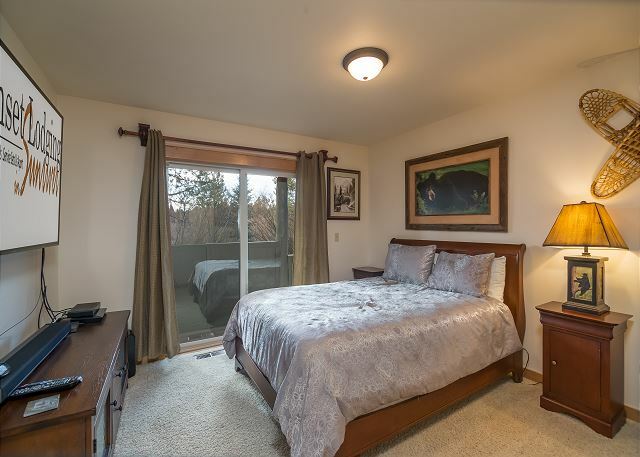 Downstairs you will find another 2 beautifully designed queen master suites as well as two bedrooms that have a common bath one featuring one queen and one that has two twin beds.There is a TV in every bedroom as well! Outside at Lone Eagle Landing 8 you will find a private hot tub and BBQ on the exterior deck. There is enough parking in the extra-large driveway for multiple family vehicles. Just down the street are Sunriver Stables, the marina and a restaurant right on the water. 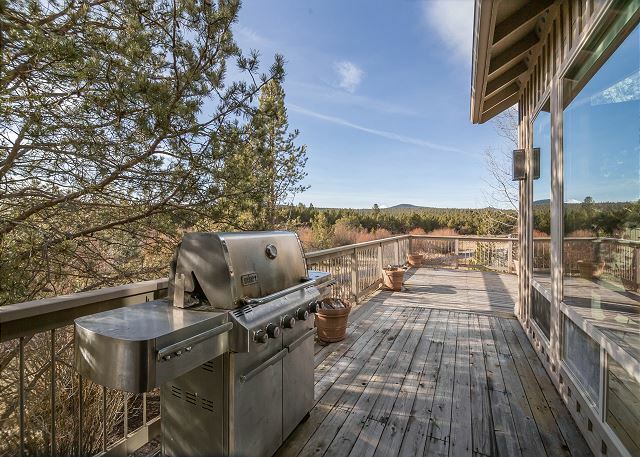 This home is located in a private part of the Sunriver community, allowing a repast from the rest of the resort, but still close to all of the amenities. 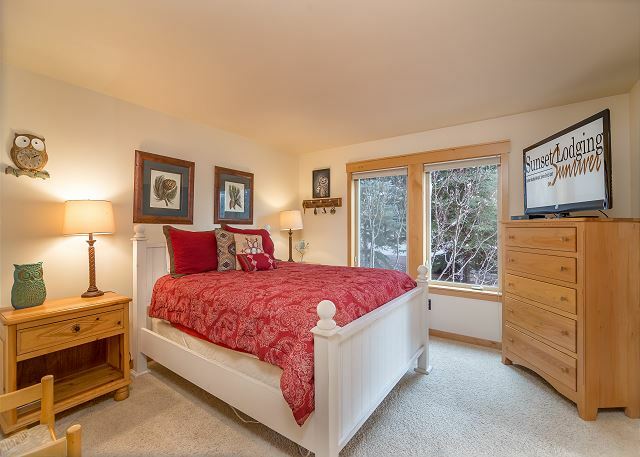 This is a PERFECT home to host family reunions with the open floor plan and light and bright feel plus luxurious furnishings and amenities plus A/C! 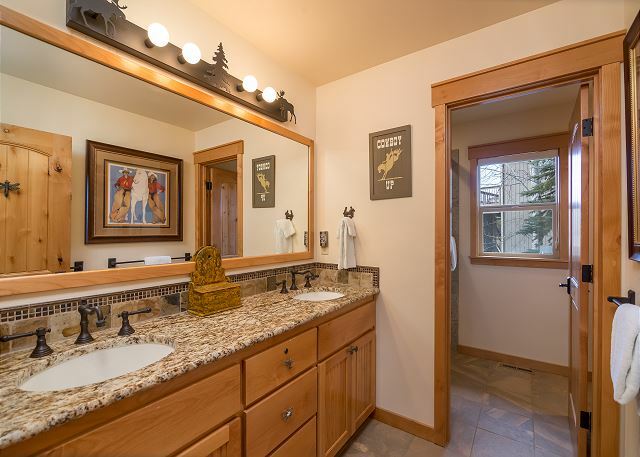 We had a fabulous Christmas stay at this Sunriver home. The home was spacious, well decorated, and very clean. The living space was inviting and comfortable and the kitchen had everything we needed. Plenty of space for big groups. Thank You for your wonderful 5 star Review, Tamara! We are happy to hear that you had a fabulous Christmas stay and enjoyed the decor and cleanliness of this home and the space it offers. Come back soon! 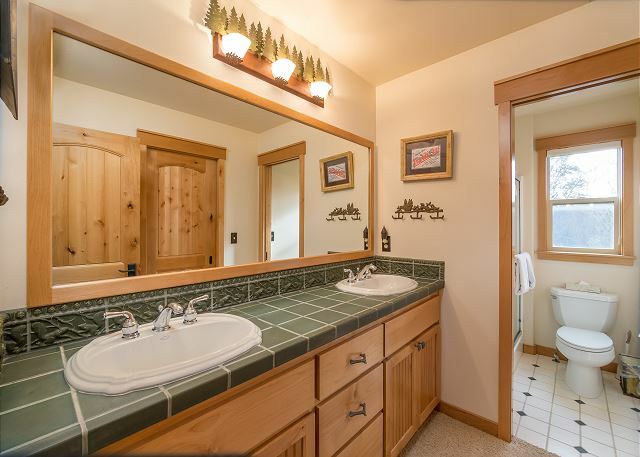 This was booked for a college reunion weekend with my Midwest friends - all my guests were first time Sunriver people. As expected, they loved the location and the house. The kitchen was well stocked with spices and all the cooking amenities needed. We had the best time at the Sunriver Brewing Restaurant at the Mall - my friends thought the waitress was the best ever! I have been enjoying Sunriver for years, it was especially fun bringing out of towners in to enjoy what I love so much. They all want to come back. Thank You for your review, Judith! So glad you loved your stay! Another wonderful family time in Sun River. We enjoyed the location very much. Thank You for the 5 star Review, Coralynn! Glad to hear that you enjoyed this home's wonderful location and had a great time. We hope to host you again! We were a group of 8 - 6 women and 2 men, all 50+ in years. We also hosted team parties up to 16-18 people. House accomodated all easily. Kitchen well stocked with everything but light on stemmed wine glasses (1 I believe.) Front exterior stairs had not been swept when we arrived and needed it. Two prominent interior window seals broken and glass fogged. Otherwise, bedding was comfortable, amenities (incl. 6 bikes & helmets) were nice. 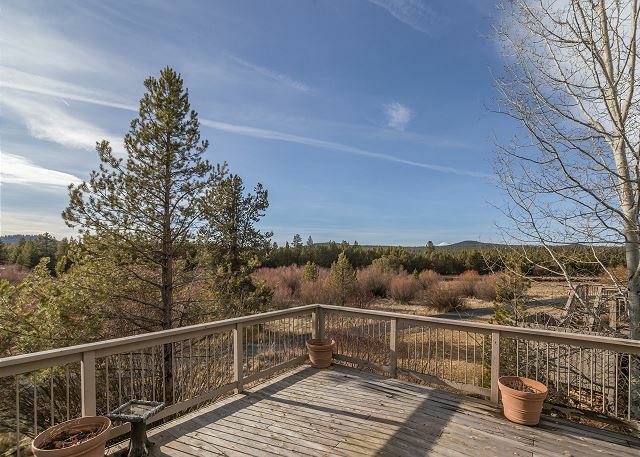 Great location - quiet corner of Sunriver, meadow views, adjacent to very lovely bike/walking trail. Would love to return another time. Thank you for the 5 star review, David! We are happy to hear that you enjoyed Lone Eagle 8, and we hope to host your family again! It was a four family vacation much enjoyed by all. We're glad you enjoyed your stay with us Margaret and can't wait to see you and your family again next time! Great house and location, ample room for our family get together of 10. House was not the cleanest --should have been dusted better and found a bag of old food in the corner of a bedroom, the kitchen and bathrooms were cleaned well. Kitchen not very well stocked if you are planning to cook alot during your stay - (i.e, only salt and pepper and a couple of spices - no aluminum foil, sugar or oil- basics that I would have expected at a rental of this caliber). Limited games and books for children (since there were children's bikes available - I thought there would be a few more toys for the kids). Overall we were very pleased with our stay - just mentioning the above for future guests so they are prepared. Thanks for the review David! We will forward your suggestions to the owners as well as our housekeeping staff. We are happy you had such a great stay and hope to see you again soon! We used this house for our 13th Annual Fly Fishing Adventure in 2017. It housed six guys and all the amenities allowed us to cook great meals each evening and enjoy each others company and fishing stories of the day. It was just a wonderful time. Our sincere Thanks. Hi Bill! We are very happy that you all enjoyed your fishing week in Sunriver and Lone Eagle #8. Thanks so much for the review! Absolutely fantastic! We loved the house, the location was perfect for our families, for running, for our dog. We will be back! Thanks so much for the great review Lily! We are very happy that you enjoyed your stay and hope that you will come and visit us in Sunriver again soon. Cheers! We stayed here between Christmas and New Years. The house was perfect for our housing needs. The table is big but only had 6 chairs and there were 9 of us. I called the office and they brought over folding chairs in a timely manner. The cupboards are well stocked with dishes and pots and pans. We used an open office area off the kitchen for our food storage as there is no other place. There is a double wall oven but the door on the upper one did not close tightly so ended up using just the lower, as couldn't get the top one hot enough to cook my breakfast casserole. This was a very quiet area but that could be due to it being winter. We all loved it and agreed we would stay there again. So glad you enjoyed Lone Eagle Landing 8, Virginia! We'll have our maintenance team take a look at that oven door. 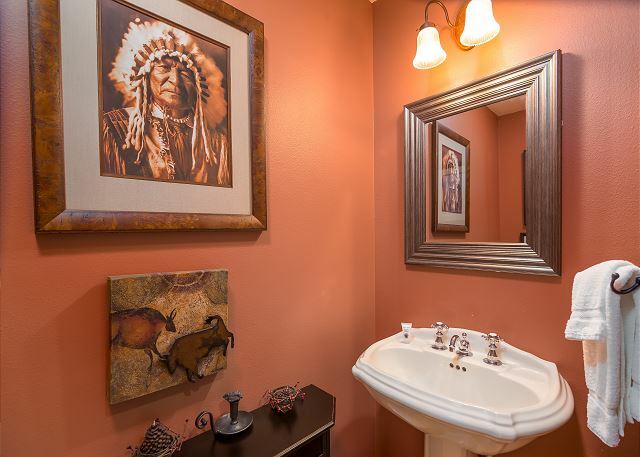 This is one of our most popular homes and we are so glad to have the chance to host you there! 'Quiet' is right!! 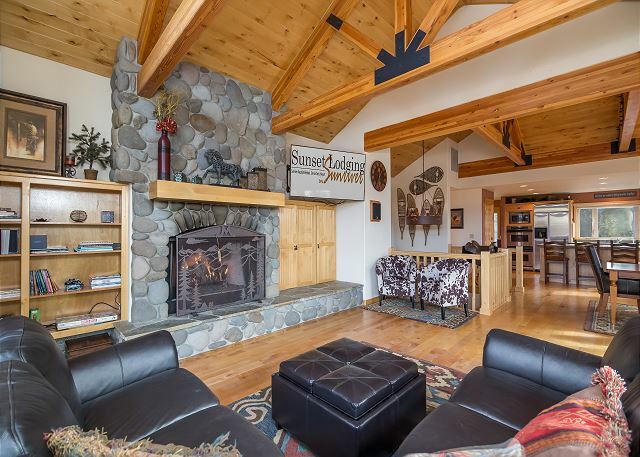 This location is ideal for those folks that need a Sunriver vacation to get away from it all. We hope you'll get back to Sunriver and Lone Eagle Landing 8 again soon. The rental was very nice. Clean and ready for us. It was a beautiful white Christmas. We needed service once to show us how to turn on the gas fireplace and someone was there in a few minutes. I would take my family to Lone Eagle #8 in Sunriver again. What a great house! We spent three days there with our two grown children, their husbands, our grandson and my mother-in-law. 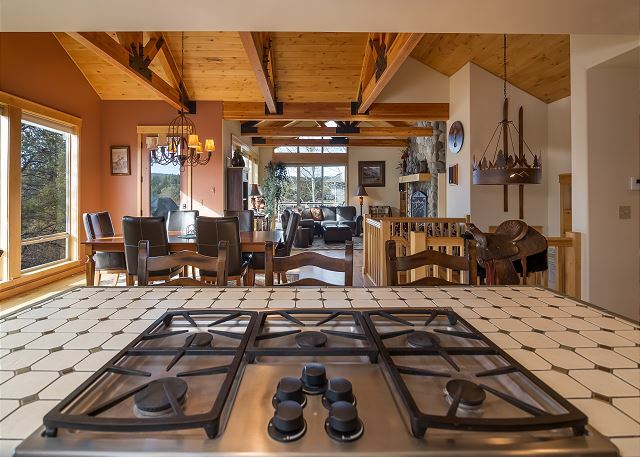 Wonderful open space on the main floor for relaxing, playing games, cooking good meals and watching football. 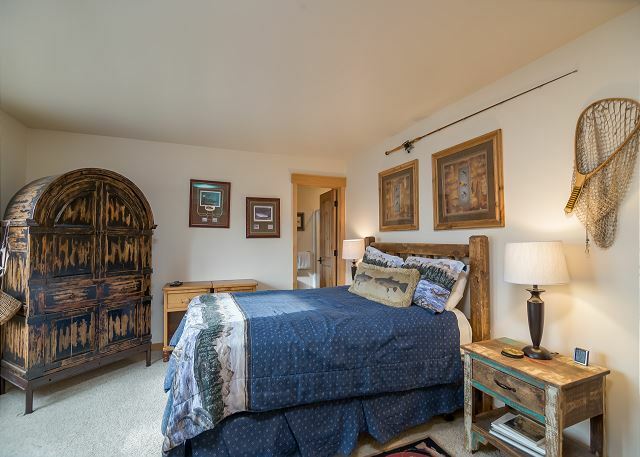 The three master suites gave everyone their own space to retreat to when needed. Right on the bike path with a view of the river. It is on the very edge of the Sunriver development, but we liked being away from all the crowds of the main resort area and everything was very accessible. Had one problem with a running toilet, but after we called, maintenance was there within an hour to fix it. Overall, a wonderful place to stay. So glad you loved Lone Eagle Landing 8, Mark!! 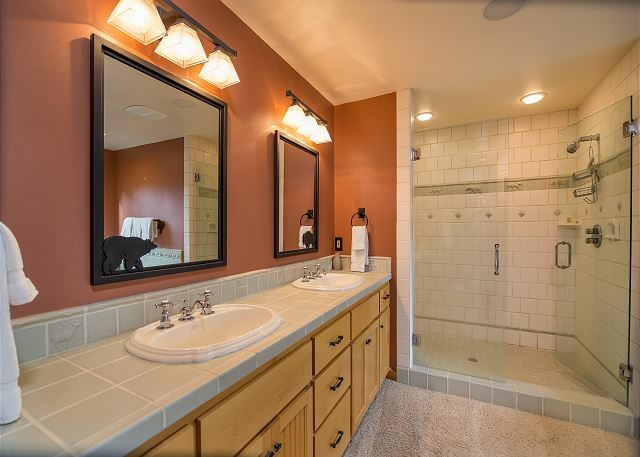 It is far and away one of our most popular homes, for the reasons you've mentioned! And we absolutely love hearing about family gatherings. We are a family run business trying to share Sunriver traditions with other families. We hope to host the Allens for many years to come! Everything went well HOWEVER when we arrived the hot tub water was green (algae) and despite my efforts to clean it for two days, it was unusable. We called the company listed as hot tub maintenance and they came out and drained the tub and filled it again. That was fine, but two (out of four) days in the house without being able to use the hot tub. We're sorry to hear about the hot tub, Stephen! This extremely hot weather is hard on them. If anything like that ever happens again, PLEASE call us right away. We don't want you to lose even one minute of your vacation. Thanks for the feedback and we hope you'll get back to Lone Eagle Landing 8 again soon! My son and his nephew born 13 hours apart. 21 years later we had to celebrate. Better than letting them loose in L.V., Sunriver would be the perfect place to celebrate. My wife was happy that the kitchen was so well equipped, especially because we're so remote. Lovely landscaping. Minor issues: Ice-maker failed on our last night, every kitchen cabinet slams closed 'bang' (who would live with that? ), some outdoor furniture in poor condition – it's time for a new umbrella, especially with the withering SW perspective. Chaise damaged. Little cross ventilation, so the house is blasting hot, but that's Sunriver in August. Great location on the bike path. This is such great feedback, Frank. We are GLAD to have poached your party from Las Vegas!! 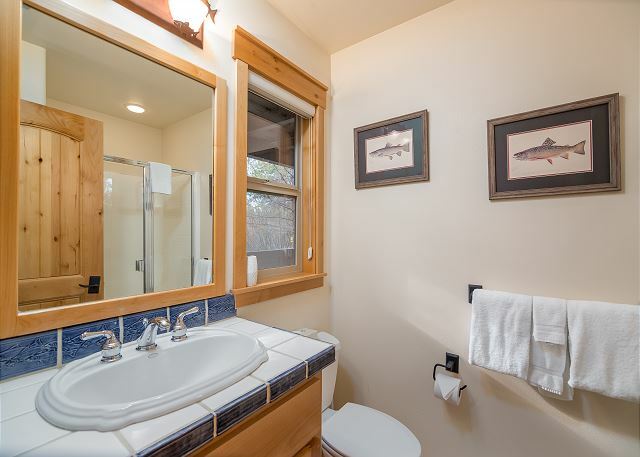 We're convinced that Sunriver is a much healthier and often more 'memorable' experience ;) We'll take a look at the things you've pointed out and see about getting them replaced in the off season. The owner of Lone Eagle Landing 8 is VERY generous about these things and demands that everything in the home be kept in good condition and comfortable, so we'll get the outdoor furniture handled immediately. Thank you so much for your feedback and we hope that you'll get back to Lone Eagle Landing 8 again soon. A great home for our 5 retired couples. 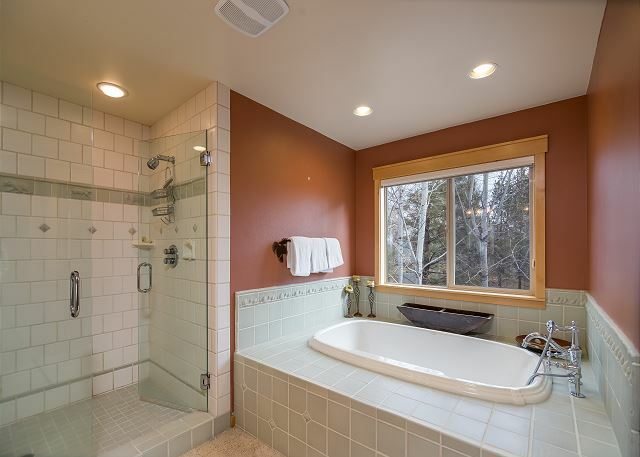 Two couples shared one bath conveniently located between bedrooms. 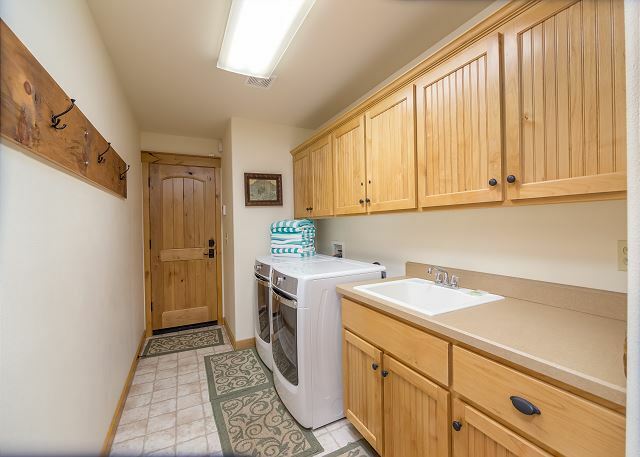 Well stocked kitchen, open family room and plenty of deck space. Close to flat cycling to lodge, marina and village. Plenty of towels and SHARC passes.